. يقدم Camelot Arms Motor Lodge خدمات لا غبار عليها وكل أشكال اللياقة وحسن الضيافة اللازمة لإسعاد ضيوفه. لضمان راحة ضيوفه، يقدم الفندق الخدمات التالية: واي فاي مجاني في جميع الغرف, تسجيل وصول/خروج سريع, تخزين الأمتعة, واي فاي في المناطق العامة, صف السيارات . لقد جهزت هذه الإقامة الفندقية بعناية فائقة لتوفر مستوى عالي من الراحة. في بعض الغرف يجد النزيل تلفزيون بشاشة مسطحة, اتصال لاسلكي بالإنترنت, حوض الاسترخاء, غرف لغير المدخنين, مكيف هواء. يقدم الفندق العديد من الفرص للاستجمام كمثل مسار جولف - ضمن 3 كم, حديقة. إن كنت تتطلع إلى إقامة مريحة وهادئة في أوكلاند، فستجد في Camelot Arms Motor Lodge بيتك الثاني. Clean, good beds, friendly. Will stay there again next time I am in Auckland. The motel was easy to find. Parking spaces for quite small but I understand they are trying to fit in plenty of cars. The reception staff were curt when I approached him about a couple of issues. We found a cup in the room which had been used but not washed. The shower was leaking (no the curtain was not left hanging out of the bath), and the entire floor of bathroom was wet. There was plaster littering the bathroom floor which had not been vacuumed up. We were not given any milk on checking in even though other family members staying in two other rooms were given milk. 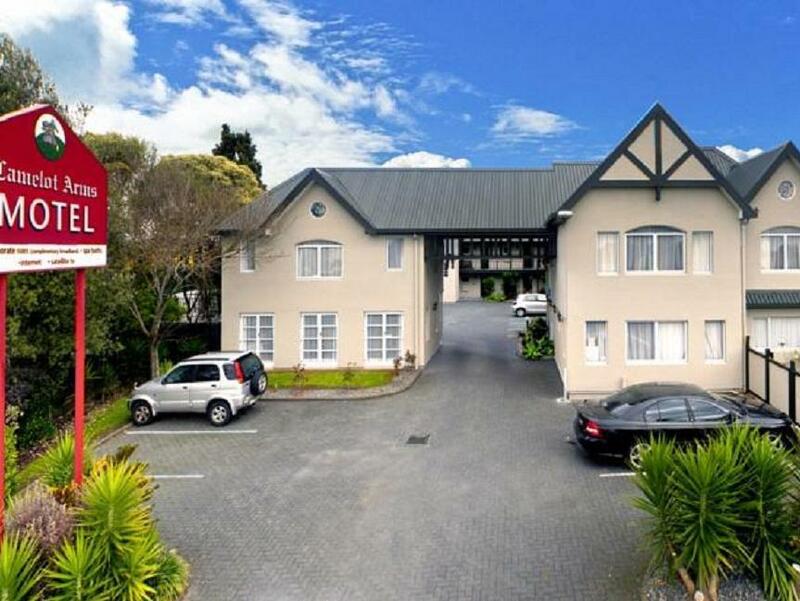 Hotel was located convenient location to Airport, Auckland and southern suburbs via SH1. Facility is not new but well maintained and inner court style layout gives good safety. On a hot night, going into a room that had been closed up all day, and no air conditioning, was a bit trying. Otherwise quite happy. We feel that at £175.77 for one night, this motel is highly overpriced and did not live up to expectation. The room was a good size but pretty basic in furnishing, with just one arm chair and the dressing table/desk was chipped. The bathroom had a 'spa' corner bath with tiled surround whose grout and seal was cracked and grimy. Hairdryer was dirty. Our room was situated under the external stair to the first floor rooms and adjacent to the rubbish store. The location of the Lodge was also a disappointment, being close to international beef-burger establishments which are generally not to our taste. 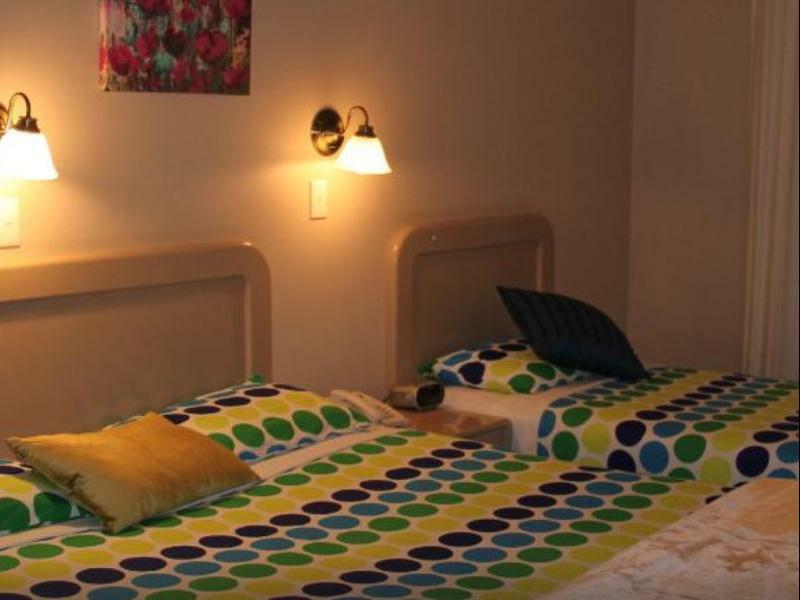 Our judgement is based upon the fact that during our two and a half month tour of New Zealand we have had the pleasure of staying in some delightful accommodation including hotels and motels. At one motel we enjoyed a living room, full kitchen, dining room as well as double bedroom for $120 night. Camelot Arms Motor Lodge was by far the most expensive place we had stayed in and just did not live up to the standard that we had been led to expect. My daughter and I stayed at the motel the night before our return flight. 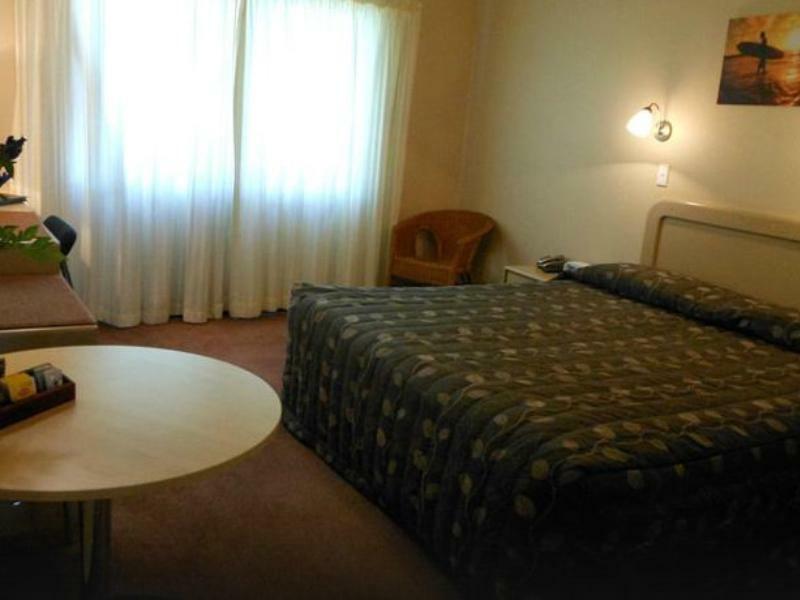 The room is big and comfortable, and the motel is close to many food courts and shopping centers. Great value for money. Will stay again. close to where i wanted to be, excellent shower / spa bath easy access.